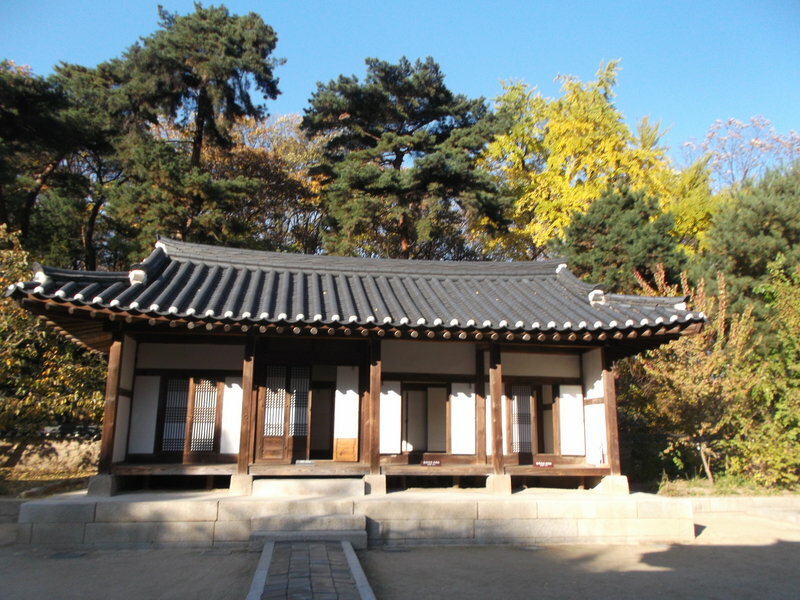 Seolleung & Jeongneung, Two Royal Tombs of the Joseon Dynasty | S.K. in S.K. 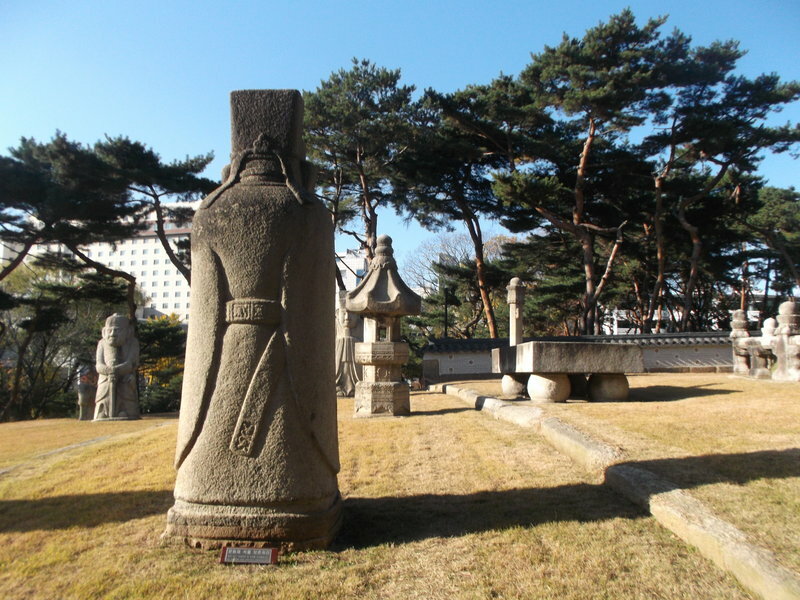 Posted on May 7, 2015	by Sara K.
So, I’ve been to the famous Baekje royal tomb and Silla royal tombs, but what about the royal tombs of later periods? Well, the Goryeo royal tombs are in North Korea, so I couldn’t go there. 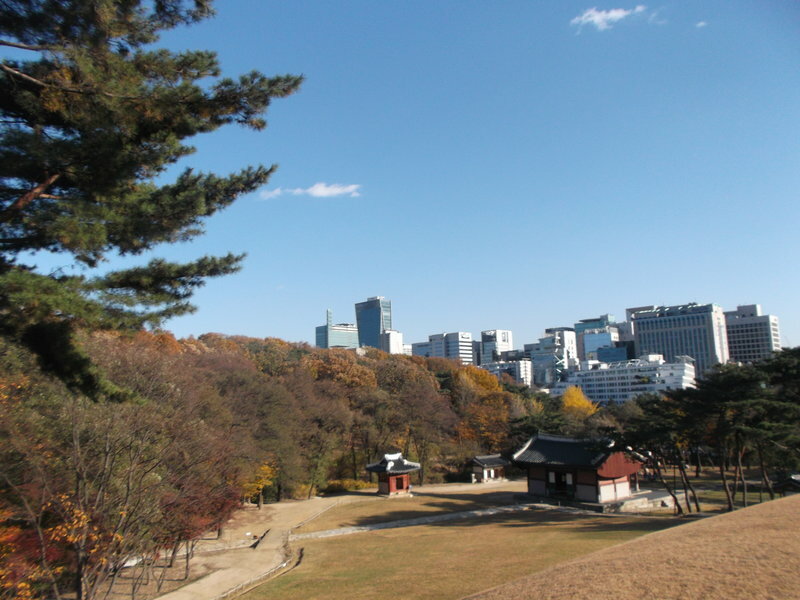 Most of the Joseon royal tombs, which collectively are a World Heritage Site, are in inconvenient locations, but there are two which just happen to be in Seoul city limits. Yes, the Gangnam district is the same ‘Gangnam’ which had been made world-famous by the super-popular song, and this article tries to connect the song to the actual neighborhood, but I digress. 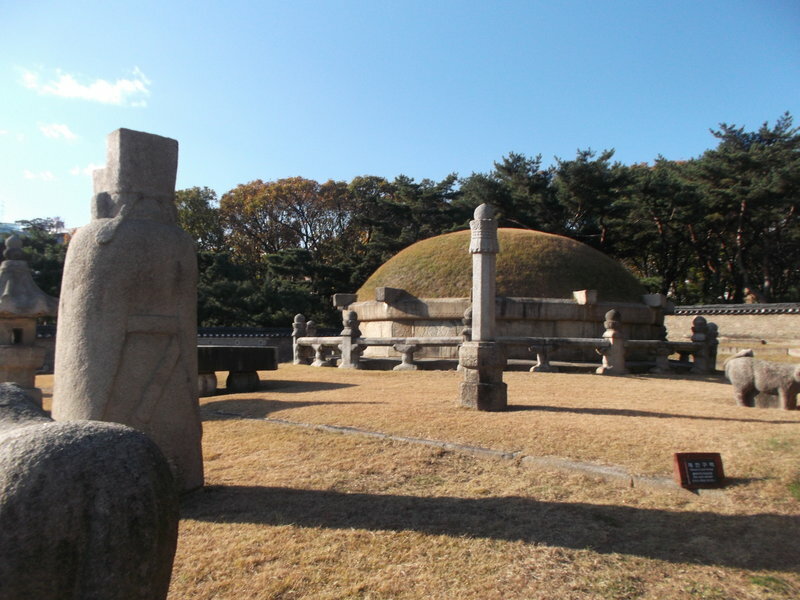 Obviously, the Joseon royal tombs were there long before Gangnam became the ultimate enclave of the South Korean elite. 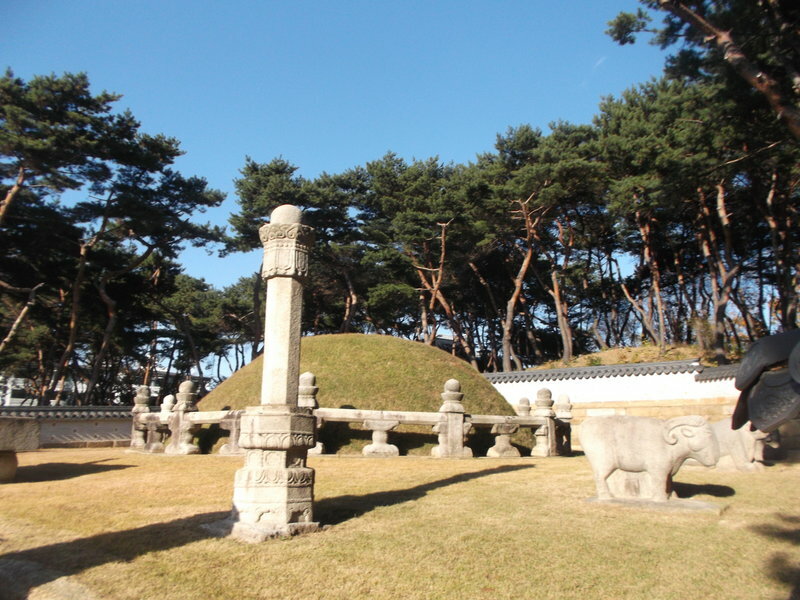 Like earlier royal tombs, the Joseon royal tombs consist of grassy mounds, but they have a lot more stonework built around them. 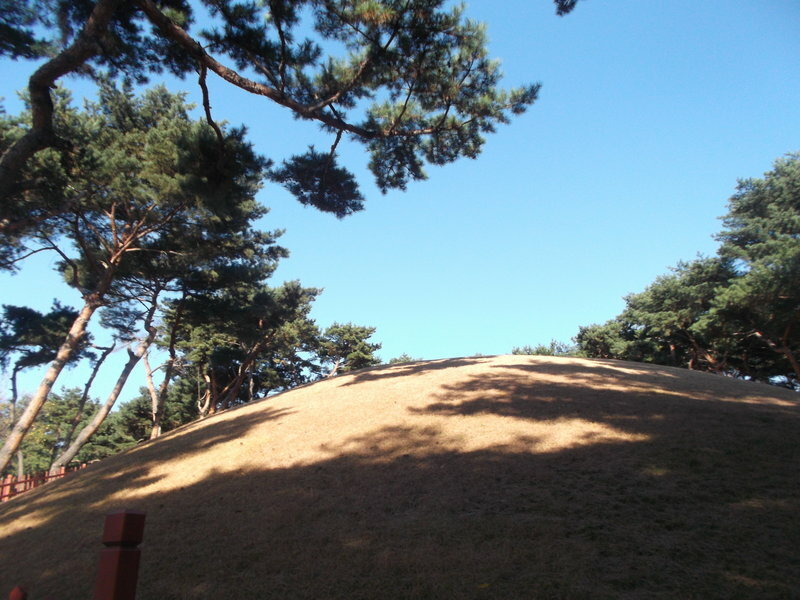 One of the tombs – called Seolleung – has two mounds – an elaborate mound for King Seongjong, and a simpler mound for his wife Queen Jeonghyeon. The second tomb, called Jeongneung, is for King Jungjong, who was a son of King Seongjong and Queen Jeonghyeon. He had originally been buried in another location, but his widow asked that his remains be moved to a spot close to his parents. Visitors are not allowed to enter the area of the tomb itself – I had to get right up to the edge of where visitors are permitted to take these photos. All of these statues and symbols have a particular meaning, but I forget what it is. 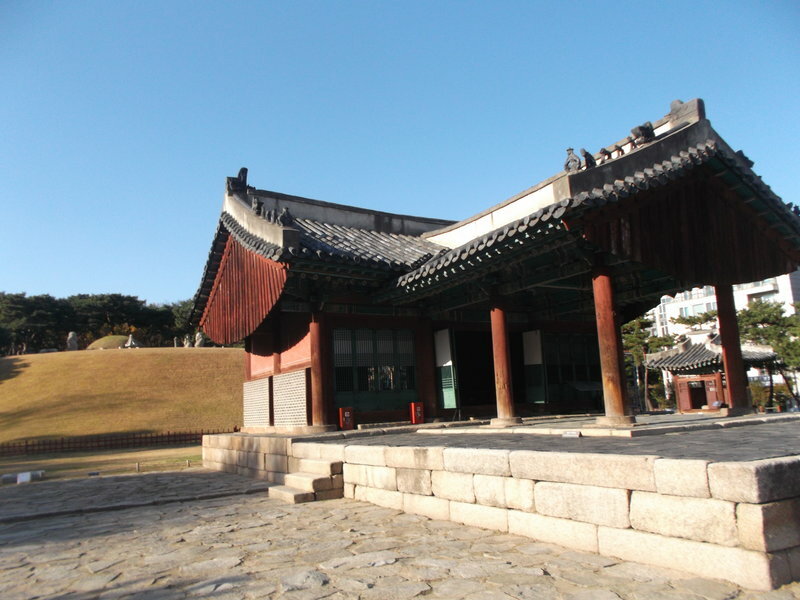 Since the Joseon kings were very Confucian, Confucian shrines are set up by the tombs. 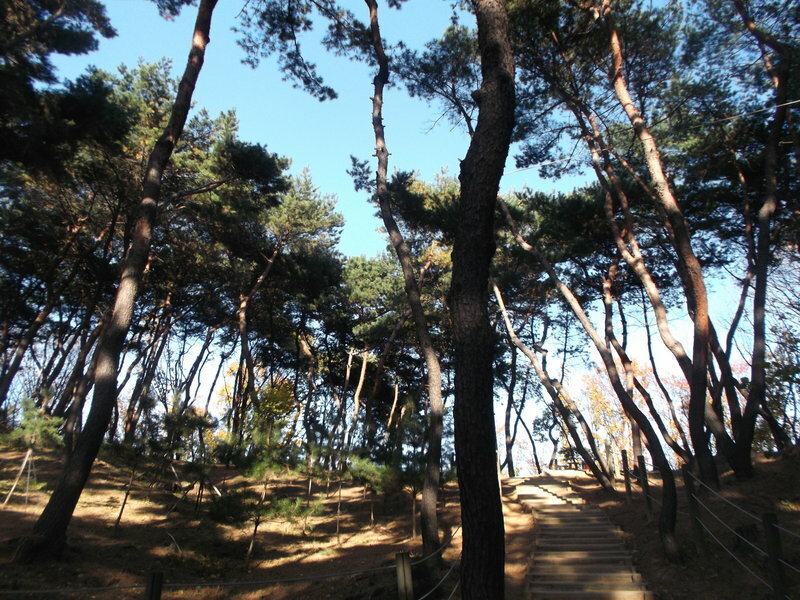 As in Jongmyo, there is a stone pathway reserved for the spirits of the dead, and to this day this pathway is offlimits to the living. 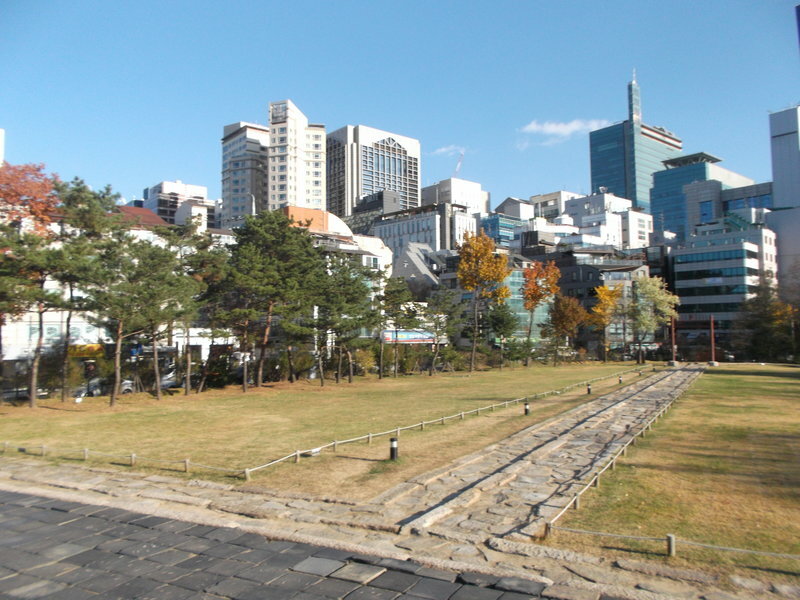 That these tombs survived the development of Gangnam is not to be taken for granted. Developers wanted to take this land to build and make money, and they clashed with South Koreans who wanted to preserve the tombs. The government eventually sided with the preservationists, invoking the protection of the Ministry of Culture, and turned the tombs into a park, and the fact that it is inscribed in the World Heritage list no doubt makes development practically impossible, at least for now. Now, this is one of the few green spaces in the Gangnam district. There is a small museum inside the park. While I was there, a Japanese-speaking tour group also passed through the museum. It’s a nice place to stop. 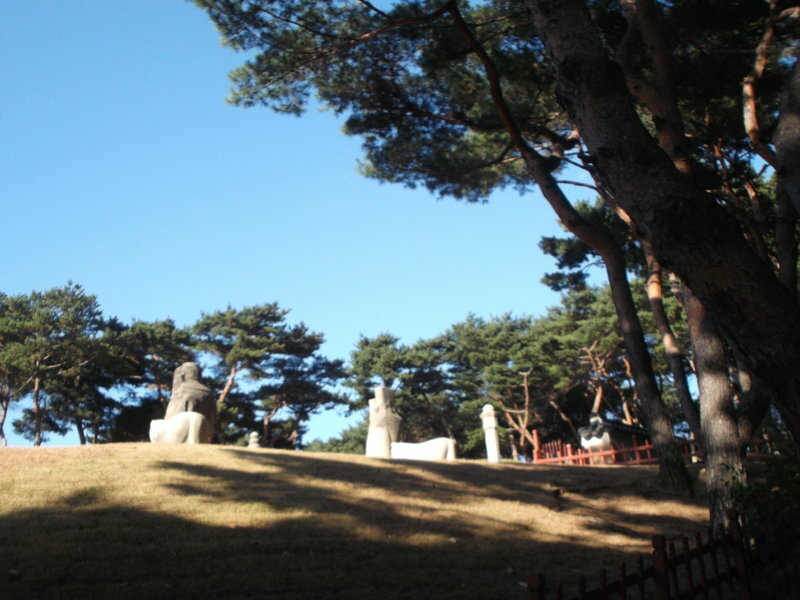 It’s certainly the most convenient place to get a look at Joseon royal tombs, and the very contrast between a preserved Joseon royal tomb with grassy mounds, the trees, the shrines, the path for the spirits, is a sharp contrast with the modern Gangnam district which surrounds it. 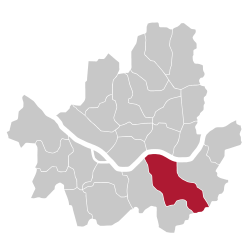 This entry was posted in Joseon, Seoul, World Heritage and tagged Gangnam, Gangnam district, King Jungjong, King Seongjong, Queen Jeonghyeon, tomb, tomb mound. Bookmark the permalink. Pingback: Bongeun-sa | S.K. in S.K. Pingback: SK in SK: Chronological Order | S.K. in S.K. Pingback: SK in SK: A History of South Korea | S.K. in S.K. Pingback: SK in SK: The Landscape of Feelings | S.K. in S.K. Pingback: SK in SK: Discovery vs. Construction | S.K. in S.K.